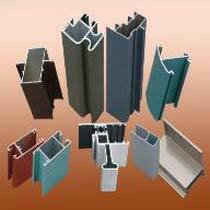 Our company is ranked among reliable Suppliers of Aluminium Sections. We make them available in varied specifications to cater to unique requirements of buyers. We procure them from trusted OEMs. Hence, we guarantee our Aluminium Sections are suitable for industrial applications. Our company is engaged in bulk and retail trading of Aluminium Sections at market leading prices.